Kier Construction Limited (KIER), and their sub-contractor BKP Waste Recycling Limited (BKP) have been ordered to pay more than £180,000 in fines and costs for polluting groundwater during the re-development of Christchurch Hospital. 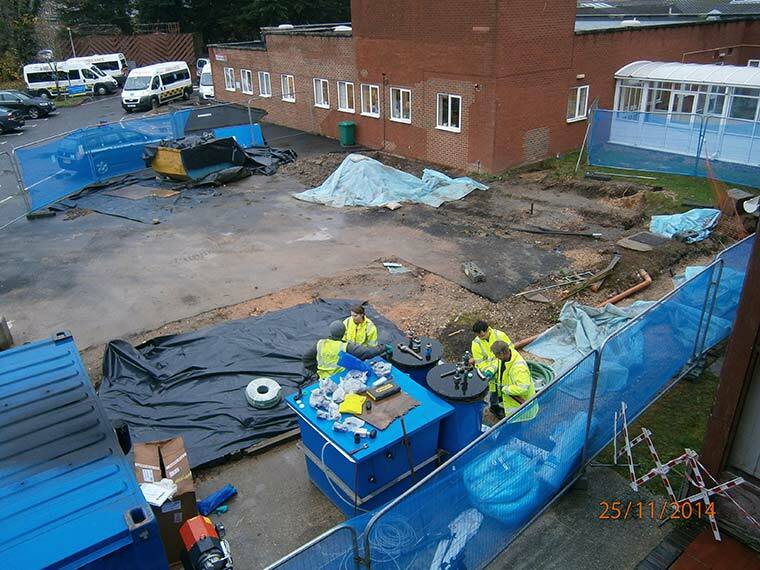 The two contractors were sentenced at Bournemouth Crown Court on 12 January after earlier pleading guilty to an offence under the Environmental Permitting (England and Wales) Regulations 2010, which occurred during the re-development of Christchurch Hospital in Dorset. Kier Construction were commissioned by The Royal Bournemouth and Christchurch Hospitals NHS Foundation Trust to carry out re-development work at Christchurch Hospital in February 2012. KIER appointed BKP Waste Recycling Limited to drain and remove oil from an oil supply line in the hospital grounds. Oil escaped from a poorly-made connection in the oil supply pipework, which failed during routine testing of heating systems at the Hospital in November 2014. The groundwater was polluted with over 11,000 litres of diesel oil. The case was brought by the Environment Agency at the end of a lengthy investigation that uncovered negligence on the part of both contractors. KIER was fined £100,000 with £30,301 costs for polluting groundwater. BKP was fined £10,200 for the same offence with £42,851 costs. If you are concerned about pollution to water or land, contact the Environment Agency’s 24-hour incident line on 0800 807060.